NESCA News & Notes: "Turn It Off Right Now!" Parents today are the first generation to raise kids in a world dominated by screens. Our parents ordered us to turn off the TV and stop yammering on the telephone — but such struggles seem easy compared to the battles today’s parents face, with TV, the internet, and the textaphone available anywhere and everywhere — and never very far from our kids’ hot little hands. What effect does all this screen time have on kids’ academics? Many parents and experts have suspected that the effects aren’t good and now there’s hard evidence to prove it. 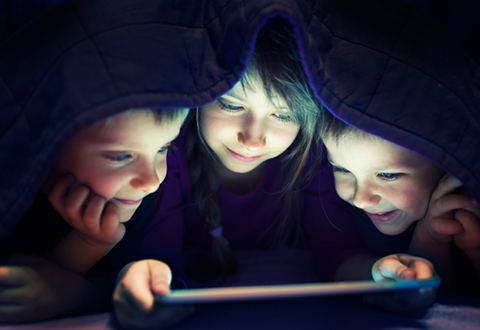 A three-year research project, known as “The Learning Habit Study,” identified a direct link between screen time and declining grades. Think this study only pertains to little screen addicts? Hardly. Even just half an hour of screen time a day caused grades to fall. Four hours of screen time a day caused kids’ GPA’s to fall by an entire grade. (This seems like a lot until you consider that American kids’ average screentime diet is seven hours). 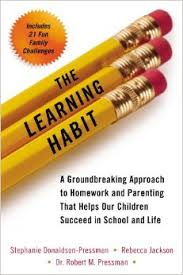 The study of 46,000 American households was conducted by a team of researchers from Brown, Brandeis, Children’s National Medical Center, and New England Center for Pediatric Psychology and published in the American Journal of Family Therapy, and in a book, The Learning Habit. The study also found that kids who spent more time on screen were less able to persist at difficult tasks, and exhibited more emotional volatility than those who engaged in less screen time. Now that the evidence is in, what should parents do? The study authors suggest parents make a conscious effort to balance screen time with chores, activities, and family time — dinners, game nights, and outings, for example. Kids won’t be the only ones to benefit, since most adults I know (including me) spend a good part of each day glued to the screen, too. So make a family meal, wash the dishes together, take your kids for a walk, get out the board games, and make a night of it.